UW-Madison instructors, staff, and students can upload most common media formats to Kaltura MediaSpace for work involving teaching and learning at UW-Madison. 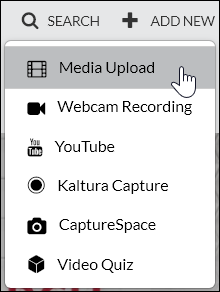 This document describes how to upload media files to Kaltura Mediaspace. Launch Chrome or Firefox, go to Kaltura MediaSpace, and login: mediaspace.wisc.edu. 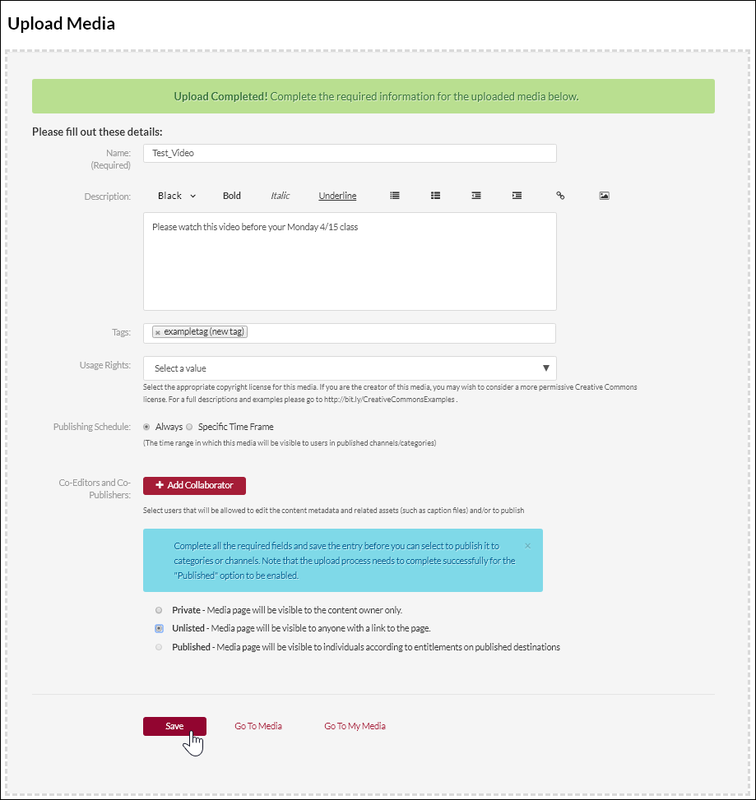 If you need more information on how to log in to MediaSpace please see Kaltura - How to Log in to Kaltura MediaSpace (UW-Madison) . 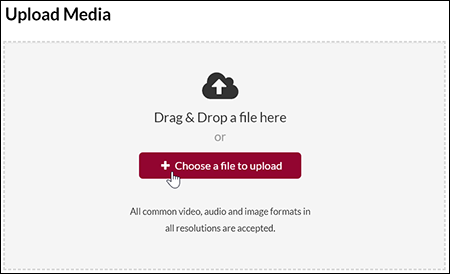 Navigate to and select the file you want to upload to Kaltura MediaSpace. A common video format to upload to Kaltura is an MP4 video file. Private - makes the video only viewable by you; sharing the link to the video requires a login with your NetID and password to view. Public - Searchable and viewable on the main Mediaspace site.